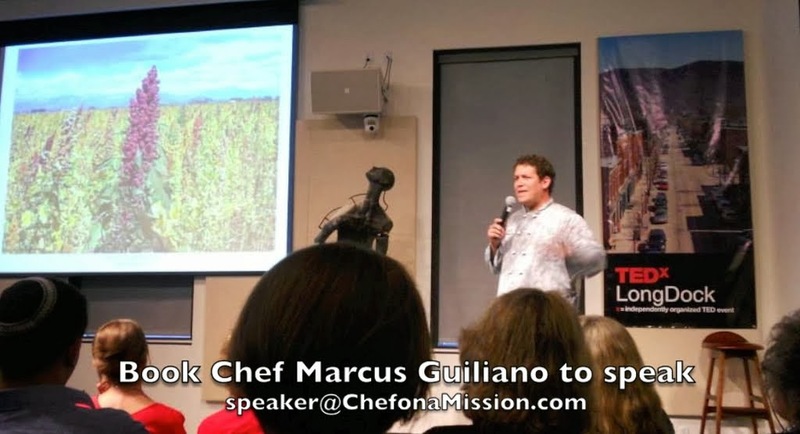 Chef Marcus Guiliano has been an advocate for over 10 years on healthy, sustainable, local & real food. He found his mission in cooking when he reversed over a handful of medical conditions including 28 years of asthma. For more information visit http://www.chefonamission.com. MONTRÉAL— A key NAFTA body today recommended a formal investigation into Canada’s failure to protect wild salmon from disease and parasites from industrial fish farms in British Columbia. The decision by the Secretariat of the Commission for Environmental Cooperation, an environmental dispute body established under NAFTA, responds to a 2012 petition by Pacific Coast Wild Salmon Society and Kwikwasu'tinuxw Haxwa'mis First Nation in Canada, and the U.S.-based Center for Biological Diversity and Pacific Coast Federation of Fishermen's Associations. The Secretariat’s decision identified “central questions” raised by the petition that should be investigated, including whether Canada is effectively enforcing section 36 of its federal Fisheries Act in relation to salmon aquaculture operations in British Columbia that allow “deleterious substances” in waters frequented by fish. Today’s recommendation by the commission is an important step in moving the petition forward under NAFTA’s environmental dispute process. The petition challenged the Canadian government’s violations of its Fisheries Act in permitting more than 100 industrial salmon feedlots in British Columbia to operate along wild salmon migration routes, exposing ecologically, socially and economically valuable salmon runs to epidemics of disease, parasites, toxic chemicals and concentrated waste. The petition documents the proliferation of industrial aquaculture and its impacts on British Columbia ecosystems that support wild salmon. Salmon feedlots are linked to dramatic declines in wild salmon populations worldwide and spread of lethal salmon viruses. When a country that is signatory to the North American Free Trade Agreement fails to enforce its environmental laws, any party may petition the Commission for Environmental Cooperation for investigation. Canada’s Fisheries Act prohibits harmful alteration, disruption or destruction of fish habitat or addition of “deleterious substances.” The petitioners seek a finding that Canada is violating its Fisheries Act with regard to industrial aquaculture. Such a finding could push Canada to protect wild salmon, ideally by relocating fish aquaculture into contained tanks on land. Following today’s decision, the Commission’s governing body, composed of high-level environmental authorities from Canada, the United States and Mexico, will consider the issue. The body has 60 days to make a final decision. If the review goes forward, the Commission will initiate a full factual investigation into Canada’s lack of enforcement of the Fisheries Act. Scientific evidence of threats to wild salmon swimming through B.C. waters from fish feedlots has been mounting, as has public concern that feedlots could spread epidemic diseases. This is a threat that jeopardizes the health of every wild salmon run along the Pacific Coast, since U.S. and Canadian stocks mingle in the ocean and estuaries. Since the petition was filed, Atlantic salmon farms around Vancouver Island suffered a virus outbreak in May 2012 that led to a quarantine and the cull of more than half a million fish. More recently scientists documented a devastating Norwegian virus that attacks the heart of salmon—called the piscine virus—infecting nearly all farmed salmon raised and for sale in British Columbia. In fall of 2012 the Cohen Commission of Inquiry into the decline of sockeye salmon in the Fraser River issued a final report concluding that salmon farms along wild salmon migration routes have the potential for serious and irreversible harm to salmon through introduction of exotic diseases and to aggravate endemic diseases, with a negative impact on Fraser River sockeye. The Cohen Commission recommended a freeze on net-pen salmon farm production along part of the Fraser sockeye migration route until 2020, at which time all farms should be removed unless Canada has hard evidence that the farms are doing no harm. The commission also suggested revising siting criteria to protect all wild salmon migration routes, and that Fisheries and Oceans Canada should no longer promote salmon farming as an industry or farmed salmon as a product. Yet in January 2014, Canada opened the British Columbia coast to more salmon farms and is considering removing section 36 of the Fisheries Act to accommodate the salmon farmers’ needs for more effective salmon de-lousing drugs. The Kwikwasu'tinuxw Haxwa'mis First Nation is a native tribe whose territory off northern Vancouver Island is being used by 27 Norwegian-owned salmon feedlots. The Pacific Coast Federation of Fishermen’s Associations is the largest trade association of commercial fishers on the west coast, representing family fishing men and women. The University of Denver Environmental Law Clinic helped prepare and submit the petition.